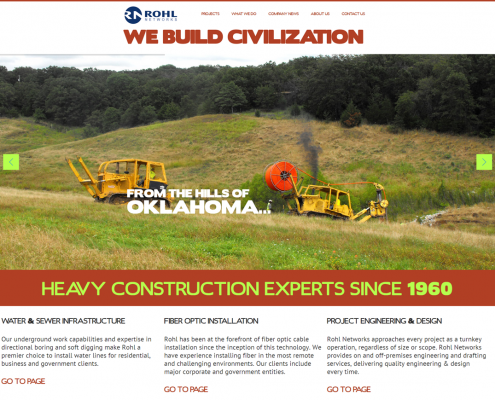 Rohl Networks is a nationally-known heavy construction company. 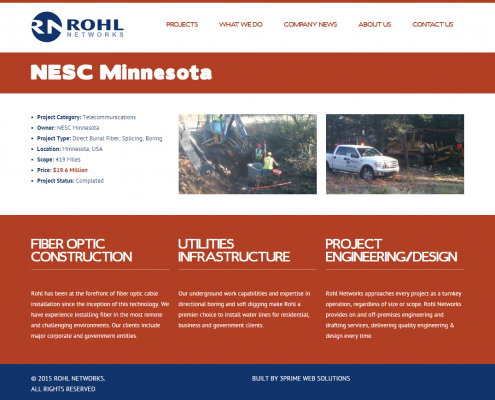 Established in 1960, Rohl has embraced the information age, becoming the go-to fiber-optic cable installer for municipalities in locations and climate conditions ranging from Yukon permafrost to watery marshes. 3PRIME built the original Rohl website in 2011, and continues to host the site on our Managed Hosting plan after its redesign in 2015. 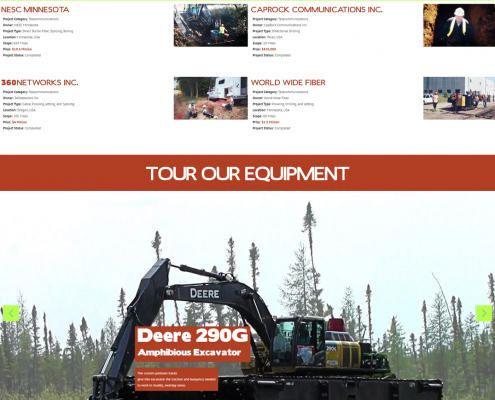 We went all-out for our old client, building a modern, responsive, full-width WordPress site based on an extensively-customized Businessid theme. Our design sought to emphasize the heavy construction aspect of the company, using a color scheme based on standard safety colors such as lime green and burnt red, as well as a heavy block font (Boris Black Bloxx) for the headings that conveys strength and stability. Since the font was only available in one weight, 3PRIME went as far as to design and create a lighter variant of the font for use on the site, completely in-house.